A white intermediate flower with a pink blush mostly on the back of the flower. 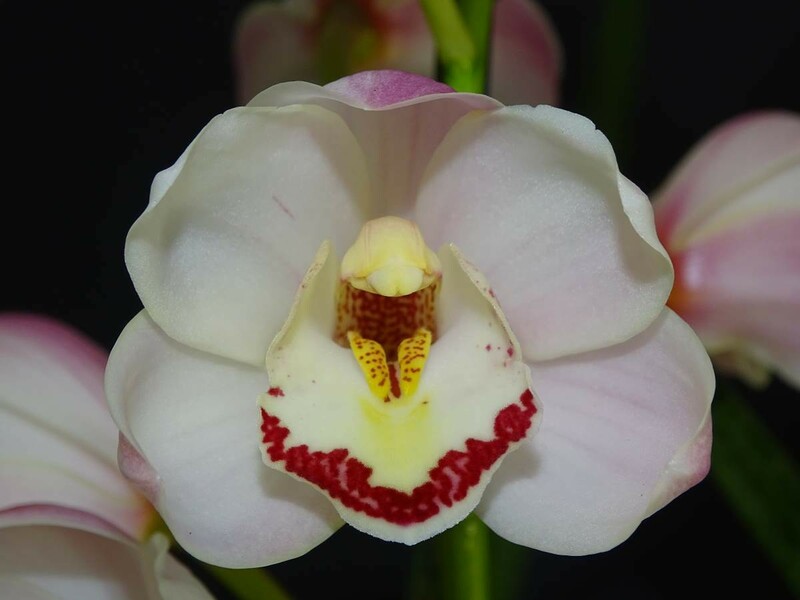 A white labellum with a red edge. Free flowering and flowering mid season.